Given all that has changed in recruitment over the past couple of decades, you would think organizations would have undergone a significant shift, if not a complete overhaul, of the way we recruit. However, even though the Internet spurred a vast array of technology-enabled applications ranging from Applicant Tracking Systems (ATS’), online job boards, social media networks and mobile recruiting applications, we’re still pretty much doing the same things we did in 1990—with a little less postage and paper. Has all this technology made us better recruiters—more efficient and enabled us to deliver significantly more impact? Apart from taking our recruiting online, has anything really changed or do we need to rethink how we’re attracting and hiring? It’s important to recognize that the underlying objective of recruiting hasn’t changed, nor should it—hiring the best talent in a time efficient and cost effective manner. The times and means have changed though, and many organizations are yet to adapt, which puts the question in HR’s court—how can HR professionals raise the bar, move the needle and deliver significantly increased value via recruitment. There’s lots of talk these days about the candidate experience and with good reason as the candidate experience impacts the bottom-line of the organization. A recent Boston Consulting Group study highlighted the financial impact of recruitment and the employment brand. The impact is alarming. How candidates perceive your organization impacts who you attract, who you can hire, and how engaged they are when they serve your customers. Guess what? If your candidate experience is amazing, you’ll be able to deliver amazing candidates who are engaged and once hired, will be “wowing” your customers. The candidate experience is the foundation to a healthy, profitable bottom line. So what are some practical things HR can do to enhance and supercharge the candidate experience? 1. Stop using résumés as the barrier to entry for your recruiting process. Great recruiters and hiring managers know that passive (and yes, active) talent recruiting is all about the relationship and the candidate experience. When all we really need is an e-mail address or a phone number (better yet a cell phone number so we can text) to initiate that relationship, why are we still requiring a résumé so early in the process? Many passive candidates will immediately fall out of your process simply because they don’t have an updated résumé. Although an up-to-date résumé is likely required to complete the hiring, more and more companies are accepting other means for candidates to engage, such as Social Media (LinkedIn) profiles as an alternative. 2. Eliminate the black hole of recruiting by adopting the position that all candidates are people, have applied to your organization and deserve to be updated as to the status of their application. In a word: communicate. Candidates may not be thrilled that you elected to move forward with other candidates, but in this world of immediate gratification and instant feedback, candidates have come to expect follow-up beyond “we will contact you if you are chosen for an interview”. Social media has made it very easy for candidates to share their experiences (good and bad) with the world, hence the need for a solid candidate experience. Utilizing social media to drive candidate excitement, interest and to solicit referrals is not only smart recruiting, it’s essential. Many organizations are driving candidate activity through Facebook, Twitter and LinkedIn among others, and using these venues to market their employment brands. Mobile Technology directly reflects how many professionals are communicating these days. E-mail is passé while texting is not. To stand out, to be a game-changer, look no further than mobile to begin the conversation. Imagine being at a networking event and meeting a great potential candidate. A quick scan of a QR code takes them to a career page that’s optimized for their smart phone. A quick text link and you’ve got their cell phone number. To use a fishing analogy, that’s a solid nibble. Gamification: The use of games, simulations, and other multimedia-rich applications in hiring, selection, and assessment processes has increased dramatically over the past decade, particularly for companies that are hiring customer service, sales, or business professionals. Gamification aims to inspire deeper, more engaged relationships. Successful and sustainable gamification can convert customers into fans, prospects into candidates. The potential is enormous. 4. Revise our hiring policies and practices. When modifying strategy with new tools, it makes sense to revise policies and practices. Leveraging applicant tracking systems (ATSs), HR can streamline and enhance the candidate experience and hiring processes, but also leverage the ATS to build out a robust candidate and hiring manager communication strategy. 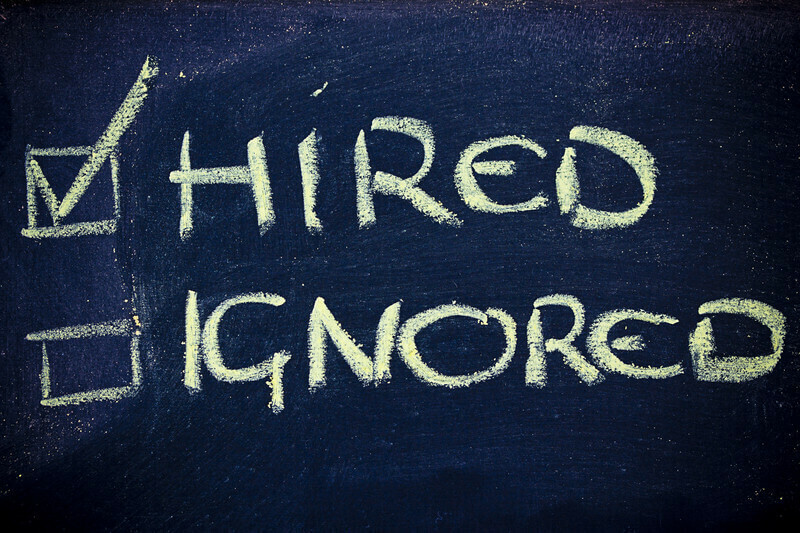 The single biggest complaint from corporate recruiting is the lack of communication with hiring managers and candidates. Your ATS already has this capability. 5. Create a more collaborative hiring environment with a focus on hiring for culture. Alignment of values and culture fit, hiring for passion, engagement and ambition trump all aforementioned criteria. Hiring a poor fit can have disastrous implications for an organization. Whether it’s through structured interviewing techniques or pre-employment assessments, hiring for culture is both essential, and a very hot topic amongst senior executives. 7. Redefine hiring metrics. Should we continue to measure time-to-fill and cost per hire? If the objective is to hire great candidates that are engaged and contributing to the organization’s bottom line and customer experience, perhaps we might consider grading recruitment departments on the customer impact of a new hire? Alternatively, if our aim is to build an enviable candidate experience (allowing us to attract the best and the brightest), should we perhaps be measuring candidate satisfaction from all candidates—regardless of whether or they are hired? 8. Innovate vs. Invent. One last radical thought. If we truly want to evolve recruitment—and evolve it into a function that proactively engages the market as an evangelist for our employment brand—HR needs to ‘borrow a page’ from elsewhere in an organization versus create wholly anew. By leveraging the sales and marketing functions within their organizations to synergize the recruitment messaging and adapt their processes around campaign project and sales pipeline management.